​England take on Spain on Tuesday night as the Lionesses step up their preparations for the beginning of the Women's World Cup later this summer. Phil Neville's side slipped to a disappointing 1-0 defeat last time out against Canada on Friday, and will be hoping for a better performance and result with precious little time left before the tournament's beginning in June. With Neville intimating that he would make some changes to his starting line-up to give the rest of his squad an opportunity to impress, here is a look at the potential team to face Spain. GK - Karen Bardsley (Manchester City): With Neville opting to rotate his goalkeepers in recent games, Chelsea's Carly Telford has been Bardsley's biggest competitor for the number one spot. But with just two more friendlies after the Spain tie ​to come before the World Cup begins, this may be the opportunity for Neville to establish who the side's starting goalkeeper will be this summer. RB - Lucy Bronze (Lyon): Proclaimed the world's best player by Neville, Bronze was pushed into central midfield against Canada. With Jordan Nobbs ruled out with a long-term injury, it was perhaps understandable to see the Lyon star moved into the middle of the park, but Tuesday may see her return to a more familiar position. CB - Gemma Bonner (Manchester City): Having not played for the Lionesses for over a year, Bonner made her return to the international scene when she was called up for the SheBelieves Cup last month. 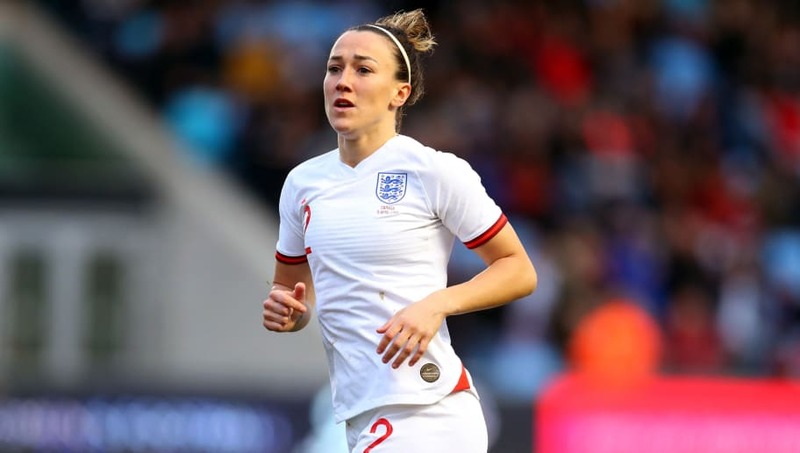 One of a number of ​City players in the England squad, the 27-year-old will be hoping to stake a claim to replace club teammate Steph Houghton after her captain's late withdrawal. CB - Abbie McManus (Manchester City - pictured): Having lined up alongside club teammate Steph Houghton as part of the Lionesses centre of defence on Friday, McManus will likely partner another City teammate in Bonner. With communication at the back so important, McManus and Bonner's City connection may see the absence of the side's captain be less felt. LB - Alex Greenwood (Manchester United): With Demi Stokes taking over left-back duties against Canada, Greenwood will fancy her chances of returning to the starting line-up on Tuesday. The Red Devils' captain has been in fine form at club level and will be confident of making the left-back place her own ahead of the World Cup. CM - Leah Williamson (Arsenal): A versatile player, capable of playing at centre-back and in central midfield, Williamson's calmness in possession has seen her being used as a ball-playing centre-half for the Gunners in the Women's Super League. After Lucy Bronze's experiment in midfield, Williamson may find herself doing a similar one on Tuesday. CM - Keira Walsh (Manchester City - pictured): One of the unsung heroes at both club and international level, Walsh has become an integral figure in the side, belying her youthful age. One of the better performers in the defeat to Canada, Walsh is likely to retain her place against Spain. CM - Jill Scott (Manchester City): A veteran midfielder who has enjoyed spells at Sunderland, Everton and now Manchester City, Scott's box-to-box presence can be crucial to the side's balance. With more than 130 caps for the Lionesses, the 32-year-old's experience will be vital come this summer. LW - Georgia Stanway (Manchester City): ​Nominated for the PFA Women's Young Player of the Year award in 2017, Stanway has enjoyed a meteoric rise in the last couple of seasons. After scoring ten goals in 26 games in the 2017/18 season, the 20-year-old has enjoyed one of her finest campaigns to date with nine goals in just ten Women's Super League games. RW - Beth Mead (Arsenal - pictured): After a stunning goal-scoring record of 77 goals in 78 appearances for Sunderland, Mead made the move to ​Arsenal in January 2017. With star striker Vivianne Miedema taking up the number nine role for the Gunners, Mead redefined herself as a prolific winger, and may operate from that role for the Lionesses on Tuesday. ST - Ellen White (Birmingham): Having come through the academy at Arsenal, White moved across London to join Chelsea at the age of 16, and has since played for the Gunners, Leeds, Notts County and now Birmingham. With 27 goals in 78 international caps, White brings a wealth of experience and may replace the likely-to-be-rested Jodie Taylor.